I hate to admit it, but I haven’t been cooking much lately. Let me rephrase that: I haven’t been cooking anything interesting to photograph for this blog lately. I’ve been cooking things like my favorite homemade kung pao chicken, pizza with lots of vegetables, and all sorts of dishes with the greens that are filling our CSA box right now. One new dish I’ve made, but didn’t photograph, was a simple dal from the Barefoot Contessa show. This easily earned a spot in our regular rotation of meals. Mostly, I’ve been waiting with less and less patience for our house to be finished. I’ve been shopping for last minute items like the light we needed in a closet that we didn’t think about until yesterday. I’ve been white-washing some reclaimed wood that we used in a few places in the house. And, I’ve been running over to the house every time a sub-contractor has a question about how we want something done or how we want to solve the random problem of the day. It’s getting really, really close to done, and the kitchen appliances will arrive soon. The photo above shows one side of the island with the cabinets painted and almost all assembled. The sink and faucet are in place. It won’t be long before I can start making it feel like home by flinging flour on every surface and baking up a storm. Although I haven’t been cooking things for the blog, I have been reading. I wanted to share a few of the food books I’ve read lately that were especially informative, interesting, or entertaining. I read a lot about the food industry, and I was aware of many issues related to animal agriculture before reading the review copy I received of this book. But, this book made so many details about pork production completely clear that I want everyone to become informed about these problems. 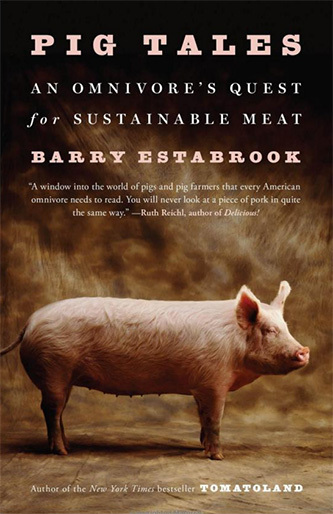 It can be summed up here: “No facet of modern food production does as much harm to the environment, the animals it raises, and the people it employs as the pork industry.” The book makes it very clear how intelligent pigs are; how much damage is done by large pig farms to the surrounding properties, the water supply, and the air quality; how much healthier the entire production process is when done carefully on small- to medium-size farms; and a few ways even the very large producers could raise pigs much more humanely and sustainably. I highly recommend the book and hope it helps bring about positive change. I read my review copy of this book shortly after reading Pig Tales, and it seemed like there was going to be a lot of the same information. Actually, the books are similar but take slightly different approaches. 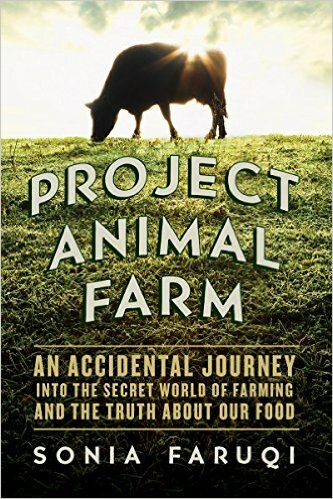 Project Animal Farm shines a light on animal agriculture from the point of view of an inside observer. Faruqi obtained various jobs at farms and even at a slaughter house to get first-hand looks at how animals are raised and cared for or not. She worked at a dairy farm, a chicken farm, she toured pig farms, she visited different types of farms in different countries and reports the good, bad, and ugly. I knew that factory-farmed chickens are crammed into filthy crates to be raised for egg laying, but reading the exact details and how little care they’re given was eye-opening. And, this type of chicken farming is spreading around the world. The good news in the book pertains to large, pastoral farms where “the needs of animal welfare, farmer livelihood, consumer prices, and environmental sustainability” are met. Once again, it was shocking to realize how little concern there is for the health and well-being of animals raised for food and how much emphasis the industry has put on minimizing costs. 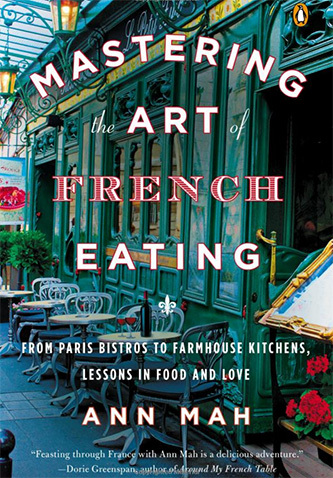 For a little lighter reading, it was a pleasure to pick up the new paperback version of Mastering the Art of French Eating of which I received a review copy. Ann Mah found herself alone in Paris for a year when she and her husband moved there but he was then transferred to Baghdad. She spent that year by learning about French food both in Paris and other regions in the country, traveling around France, and writing all about it. Each delightful chapter shares a new story both about coping with being on her own and about a food experience--and a recipe to go with it. I particularly enjoyed the chapter about a visit to Provence where she joined a soupe au pistou preparation party and learned exactly how to make it from nine other local cooks. It’s an entertaining read with insights about classic regional dishes and how to make them at home. This is another book that I somehow missed in hardcover. I received a review copy of the recent paperback version. 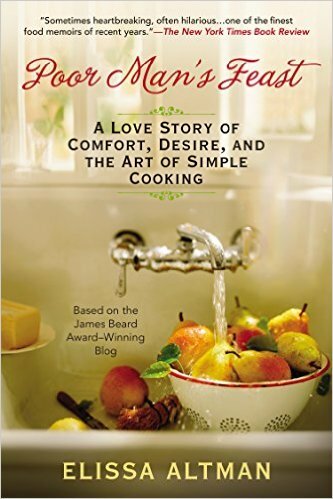 It’s also another completely enjoyable, food-focused read with recipes to accompany most chapters. Altman shares stories about her upbringing, her job at the Dean and Deluca store when it first opened in Manhattan, her passion for food, and her relationship. It’s full of humor, despite a few sad times, incredible descriptions of meals both gourmet and basic, and really shows how priorities can change over time. I think I read it in two sittings. I won’t be able to resist cooking from new books and taking photos for long. Soon enough, I’ll be choosing recipes from Tacos: Recipes and Provocations and Pierre Herme Macarons: The Ultimate Recipes from the Master Patissier. Stay tuned for more food coming soon.